Can’t get out of town this year? No worries! You are living in the city that never sleeps and also just so happens to be one of the top travel destinations in the world. There is no end to the things you and your friends, family, or significant other can do together during a good old fashioned staycation in New York City. And in this post, we’ll go over some of the top things to see and do right in your own backyard. Catch a Broadway Show With Some Discounted Tickets: A Broadway show can get pretty pricey, especially if you are planning to take the whole family. However, one way to beat the steep prices is by heading to the TKTS Time Square ticket kiosk and getting remarkably reduced tickets. The key is, you have to head to the kiosk the day of to buy tickets for a matinee or evening show. It’s not uncommon to snag some off-Broadway tickets for as low as $20 or Broadway tickets for as low as $40, depending on the show you want to see. Go Ice Skating in Bryant Park: There are plenty of great spots in NYC that are worth checking out for indoor or outdoor ice skating, but if you want a particularly scenic experience, head to Bryant Park. The good news? Admission to the rink is free! Bad news? They’ve jacked up the price of skate rentals to $20. Some more good news? If you already own a pair of ice skates, you can forego that hefty rental price or you can spontaneously purchase a pair of skates online for just a little over $20. That way you can skate multiple times at Bryant Park for free (from October till March). Dedicate a Full Day to Exploring as Many Neighborhoods as Possible: New York City is huge and it’s incredibly diverse. Every time you go to a different neighborhood, it’s like stepping into a new world. Although it isn’t possible to hit up every neighborhood and every borough of the city, there are plenty of neighborhoods you can explore in one day. Grab some super, unbelievably cheap and out-of-this-world delicious dim sum in Chinatown and shop for novelty items and souvenirs like a pretty pair of chopsticks. Next, grab a $10 lunch in Little Italy. Depending on the weather, you may be able to sit outside and enjoy your spaghetti carbonara and glass of Italian wine at an sidewalk table to bask in the sunshine and indulge in people watching. Next, trek to Staten Island via the (free!) ferry. A leisurely boat ride is a good way to digest after a big meal. Go Gallery Hopping: For some, gallery hopping is just called “Thursday night”. But if you aren’t an art aficionado, dedicating an evening to exploring the various art openings and exhibits around the city can be an unforgettable way to spend a portion of your staycation. Most gallery openings can be found in Chelsea and occur on Thursday evenings. And if the promise of awe-inspiring, beautiful art isn’t enough for you, go for the complimentary wine that often is provided at these openings. Take The Tram to Roosevelt Island: You know that tiny little strip of land in the East River between Manhattan and Queens? People live on that. And it’s actually easily accessible. All you have to do is take the $2.75 tram ride across the river and you’ll get dropped off on the island. Roosevelt Island itself is picturesque enough, with its quaint parks and unparalleled views of Manhattan. But the tram ride to get between the two islands is arguably just as enjoyable as a day exploring the little island. Go Rock-Climbing in Queens, Brooklyn, or Manhattan: If you are stuck in New York on a particularly rainy or snowy day and your activities must be confined to an indoor space, you can still find ways to stay active. Cue rock-climbing gyms. These places are scattered throughout the city, with the most notable gyms being The Cliffs in Long Island City, Brooklyn Boulders in Brooklyn, or Chelsea Piers Sports Complex in Manhattan. Any one of these places has plenty of rock wall space to scale as well as bouldering, belaying, and top-roping. And one of the great things about rock-climbing is that it’s so versatile. It can be a great family outing, solo adventure, or fun first date. Have Lunch at The Iconic Katz’s Delicatessen: Remember that diner scene in “When Harry Met Sally”? That was filmed in Katz’s. Today, you’ll find plenty of locals as well as tourists line up to get a mouth-watering Reuben on rye or some other classic deli sandwich. On the walls of the deli, you’ll see hundreds of photos of restaurant workers with famous people and other notable figures who also love this New York deli. Don’t Skip Out on Sunday Brunch: What would New York be without Sunday brunch? Wake up, walk down the street, and you’ll find rows upon rows on brunch spots in neighborhoods like Astoria, Greenpoint, The East Village, and other spots throughout the city. It’s not difficult to find plenty of incredible brunch deals either. In Astoria and in downtown Manhattan, you can find bottomless brunch deals that offer 90 minutes or two hours of mimosas and bloody mary cocktails at a fixed price. If the boozy brunch scene isn’t your thing, there are many brunch spots known for decadent treats like syrup drenched chicken and waffles or specialty donuts. For something nostalgic, venture into the Astoria neighborhood and head to Queens Comfort on 30th Avenue. They’ll serve you some of their masterful creations that simply cannot be replicated elsewhere (like their deep fried mac and cheese donut drizzled in frosting and topped off with breakfast cereal and powdered sugar). 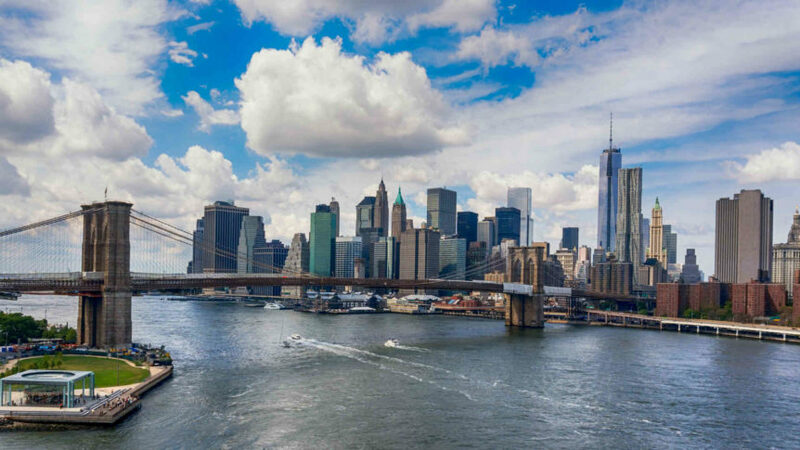 Looking for more fun things to do in all five boroughs of New York City? Or are you a home owner or landlord with an appliance repair need? Get a hold of us today!